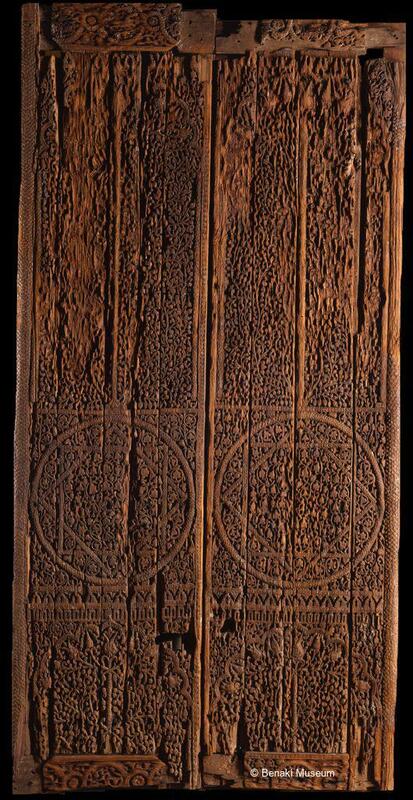 The pair of doors was found dismantled as parts of a sarcophagus in Iraq. The main decorative theme is a tree motif combined with geometrical and architectural motifs surrounded by vine scrolls and foliage. The collection of these elements and the rich carved ornamentation is traceable in the architectural decoration of late Umayyad art as presented in the desert palaces of Mshatta and Qasr Tuba.